I have written in the past about my love for Marlborough Sauvignon Blancs. This one departs from the instantly recognizable floral style of the region. It’s restrained, elegant, and pleasingly dry, not unlike a certain Friend of mine who shares the name. Note the design on the label, an image of a Maori kite. Manu is produced by Steve Bird Wines. 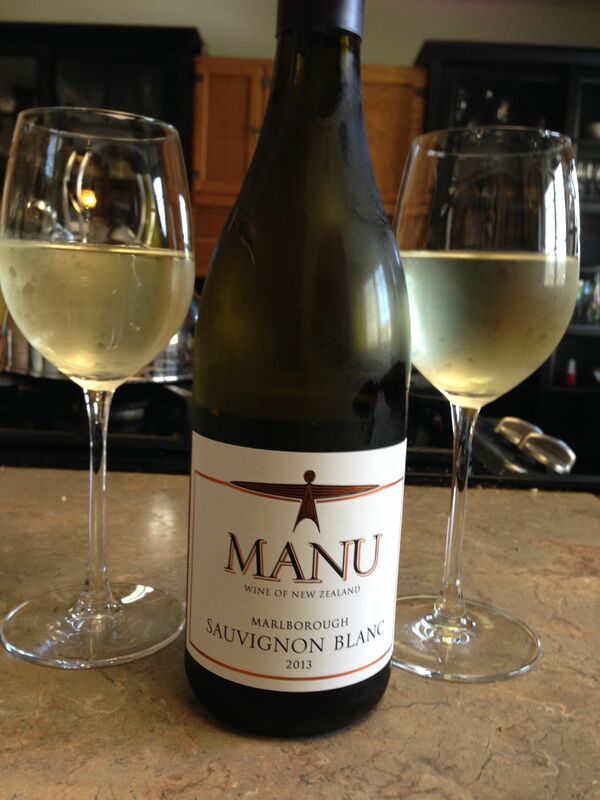 According to the website, the Manu SB is a brilliant and vibrant wine, pale straw in colour with slight green hues at its edge. This is succulent and tasty with lime, stonefruit and herbaceous flavours. The palate is powerfully flavoured and fruity showing refreshing acidity and excellent mid palate weight. The flavours flow to a dry finish with great length. Ancient Māori were expert kite makers and flight controllers. Their kites were usually “tail-less”, were gaily decorated, of varied sizes, shapes, names and purposes – from those used for light-hearted entertainment to kites used for highly significant spiritual rituals. Children and adults made kites – to practice whanaungatanga (social relationships), to reinforce tikanga/kawa (tribal lore); to commune with spiritual deities, to produce artwork, to perfection aerial movements, to test skills in competitions (as in Manu Namu and Manu Kopua) and for fun, to add their “touch” of vibrancy to the sky. A Maori kite similar to the one on the Manu bottle. What a beautiful culture. Before the arrival of Europeans, the Maori people were much concerned with the arts of pleasure which included music, dances, games, storytelling, surfing, and the glories of kite-flying. Among the modern day arts of pleasure, the making and enjoyment of wine surely deserve a place. Steve Bird. Click for source. Beautiful indeed, I love the idea of a more restrained NZ Sav blanc. Not one I have seen in Sydney, am going to NZ in two weeks so will look out for it there. The label is gorgeous LM. Isn’t it? I found the label very classy. Usually there is no necessary connection between the label and what’s inside, but here it seems a perfect match. I don’t imbibe of wines but that doesn’t lessen enjoyment of your article and learning about “Manu”. Thank you. Yes, I wish I knew more about this topic. Especially the amazing tattoos that the warriors used to have. I find them fascinating! Firstly, this is the perfect month for Sauv Blanc, and I’m a massive fan of the NZ’s styles and talent for making them. It’s a mouthful of spring. This one looks incredibly inviting. Secondly, I adore the Maori culture and fell in love learning about them when visiting NZ a couple of years ago. There’s a fantastic cultural park in Rotorua called Te Puia which explained so much about these glorious warriors and their lifestyles to this day. The warrior prep for battle is a thing to see. It’s called the Haka. no they don’t 😉 that would be a laugh all the piles and the gripping in kilts 😉 but more than half of the spectators wore them, at least in Edi and they are certainly used in the Highland games which are very physical 🙂 I’m a big fan of a well made kilt 🙂 very manly indeed. By “football” I take it you mean what we call soccer? The American kind of football is not for “pantsies” but not very enjoyable to me. Soccer is more interesting to watch because they don’t have all that ugly padding and it’s more balletic. And safer! What is your upcoming tasting opportunity? It sounds delish! That’s fascinating about the wine! No, I’ve not tried it. I have trouble with some bitter things like grapefruit and radicchio. But I like the bitterness of dark green vegetables, and cocktail bitters. The only flavored wine I have tried is retsina from Greece, which I enjoy with the right kind of food 🙂 And white vermouth. I suppose that counts as a flavored wine.